Children learn about themselves, and the rules, by pushing back on them. This audio plus detailed handbook reframes what creates clarity for kids, so they can learn. It shares a powerful, proven-way to help a child move from big emotions to learning, and much more, all while being connected, firm, and calm. 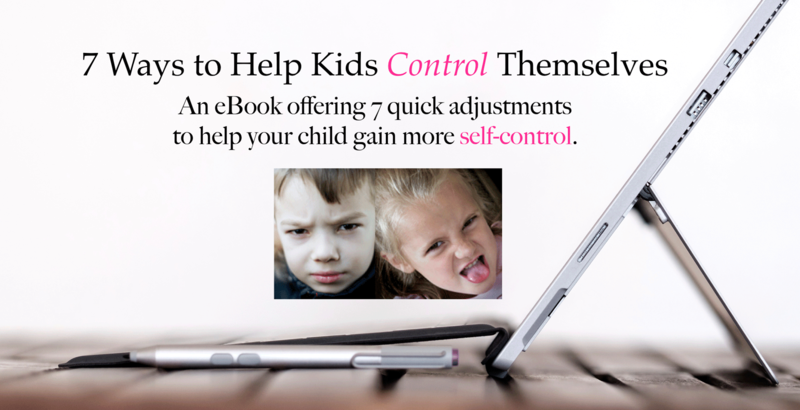 This eBook tackles the motivation behind your child’s attitude, and shares mindful yet authoritative words/actions to defuse it before it goes any further. This audio plus detailed handbook shares how to create a mindful teaching consequence instead of a punitive one. There are sample conversations to show you how to create a mindful learning consequence, plus what to do if your child doesn’t cooperate. Every so often the words you use cause arguing, power struggles, and tantrums instead of learning. This eBook shares 34 conversation starters that offer a clear, proven way to express your authority without reacting. More importantly, shifting your words allows your child to truly hear you, and that inspires listening and cooperation. Being triggered makes it difficult to think logically. This webinar helps you find the personal triggers that are blocking you from mindfully addressing behavior, and provides the words and actions to use instead. Parents want the respect and closure they think yelling and punishing provides; the problem is it has the opposite effect. Yelling and reacting re-routes a child’s attention away from the issue at hand, and causes them to focus on one specific thing instead. This audio plus detailed handbook empowers parents with transformative, empathetic tools and conversation starters to clearly address behavior without compromising the rules or your authority, so you and your child feel heard.